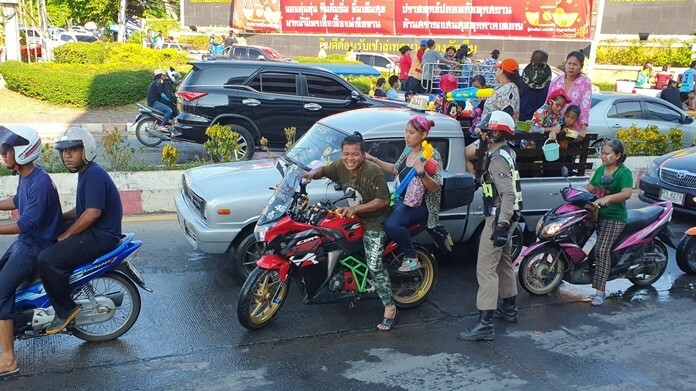 Thai officials hyped Pattaya as Asia’s best golfing-holiday destination as 150 tour operators and travel buyers assembled for the Asia Golf Tourism Convention. 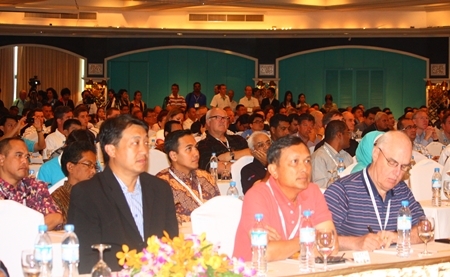 The April 29-May 2 meeting at the Royal Cliff Beach Resort’s Peach Convention Center drew more than 400 International Association of Golf Tour Operators delegates from 45 countries to shop for travel packages and services in the Australasia region. 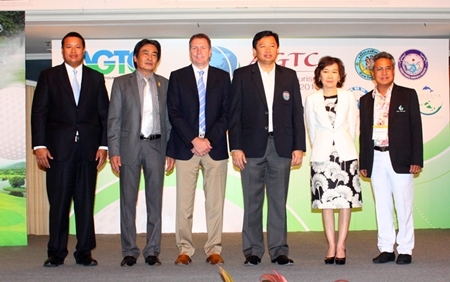 (L to R) Chiruit Tsarangkun Na Ayuthaya, Director of the Thailand Convention & Exhibition Bureau; Pattaya Deputy Mayor Ronakit Ekasingh; Peter Walton, President & Chief Executive of IAGTO; Chonburi PAO President Wittaya Kunplome; TAT Deputy Governor Juthaporn Rerngronasa, and Kullatorn Mesommonta, President of the East Coast Golf Courses Management Association during the opening ceremonies for the Asia Golf Tourism Convention 2013. Suppliers had the opportunity to introduce themselves to all buyers during 2 hours of “speed dating” at the beginning of the first business day. 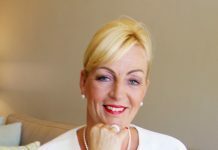 That was followed by nearly 10 hours of meetings over two days where golf resorts, golf clubs, hotels and other suppliers made up to 38 appointments of 15 minutes each with tour operators. 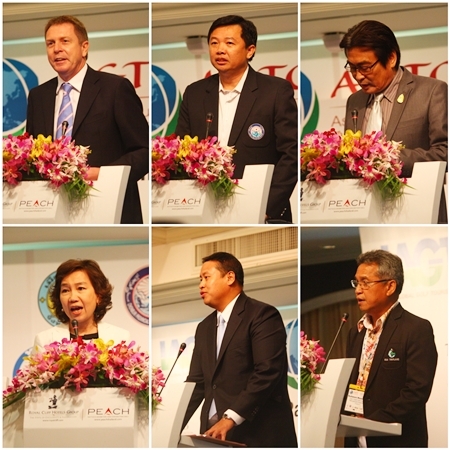 There were also seminars on the golf tourism industry and presentations on golf destinations along with some organized by Pattaya City Hall, the Tourism Authority of Thailand, the Thailand Convention & Exhibition Bureau, Chonburi Province, the East Coast Golf Association and the Royal Cliff Hotel Group. 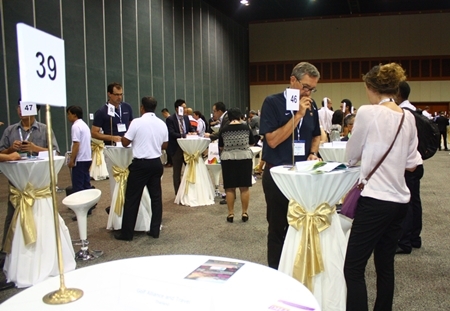 Suppliers take the opportunity to introduce themselves to buyers during 2 hours of “speed dating” at the beginning of the first business day of the Asia Golf Tourism Convention 2013. Chonburi Provincial Administrative Organization President Wittaya Kunplome used the opportunity to promote the province as Asia’s best golfing option, noting tournaments such as the Honda LPGA, Thailand Open and Thailand Golf Championships have attracted such top international golfers as Yani Tseng, Tiger Woods, Bubba Watson, John Daily, Sergio Garcia, Michelle Wee and Lee Westwood. 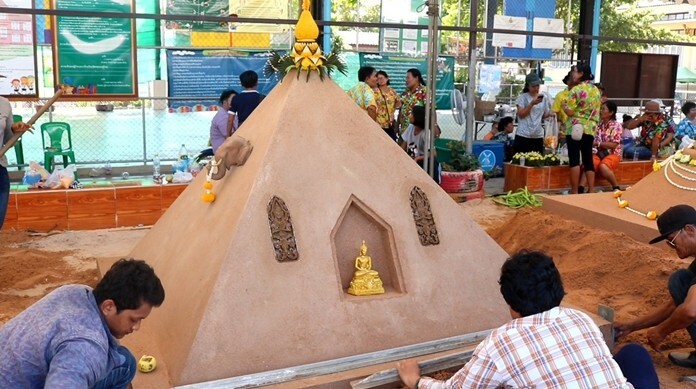 “This shows Pattaya and Chonburi are equipped to accommodate golfers and tourists from all over the world,” Wittaya said. Kullatorn Mesommonta, President of the East Coast Golf Courses Management Association, said Pattaya-area courses are advertised globally and are increasingly popular with Asian golf tourists. Events this year, he said, include an Asian golf caddy tournament featuring 144 caddies from Thailand competing against rivals from China, South Korea and Indonesia. ‘Caddies are important in bringing success to Asian golf tourism and the International Association of Golf Tour Operators, therefore, wants to build an inspiration for the caddies to provide quality service to promote tourism with golf industries to grow,” said IAGTO President Peter Walton.